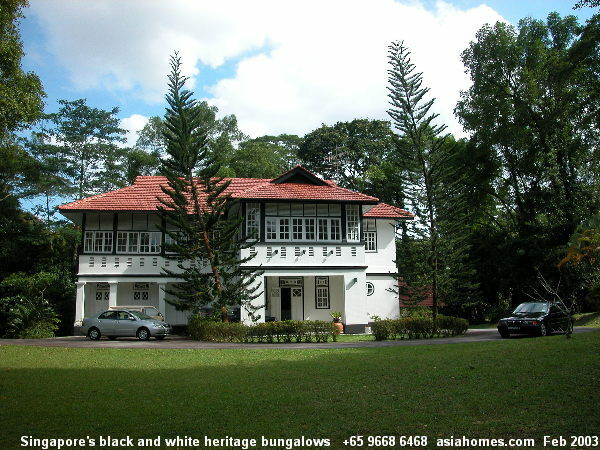 Email details of your specifications to judy@asiahomes.com or Tel: +65 9668 6468, 6254 3326, 6254 2728, 9668 6469; Fax: +65 6256 0501, 64545 843 for viewing or updates. Sunday Feb 16 2003. Near the American Club. $8,000. Children studying at the American School. 3pm Habitat I 4+1 3200 sq ft $8,000. 3.15pm 8 Orange Grove 4+1 3000 sq ft $8,000. 2nd floor. 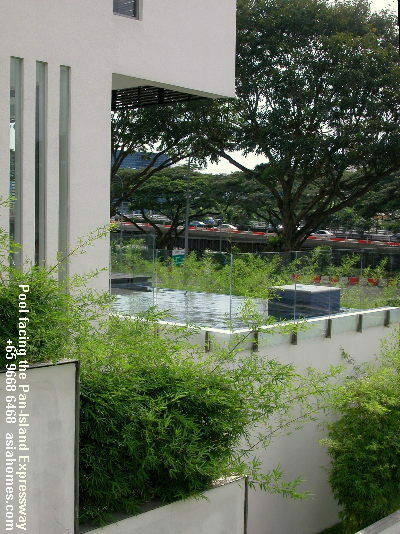 3.30pm Nassim Mansion 4+1 3500 sq ft $8,000. 3.45pm Astoria at Cairnhill 4+1 3000 sq ft $7,000. Renovated. Pool only. Saturday Feb 15, 2003. To view houses near the Camborne Road area. $8,000. Children studying at the new Australian School. Wife prefers to live close to the Australian School. 2.15pm 15 Dunsfold Drive brand new modern bungalow 6+1 5500 sq ft floor area/11000 sq ft land $10,000 with pool facing Australian School and the Pan Island expressway. Walking distance to the Australian School. 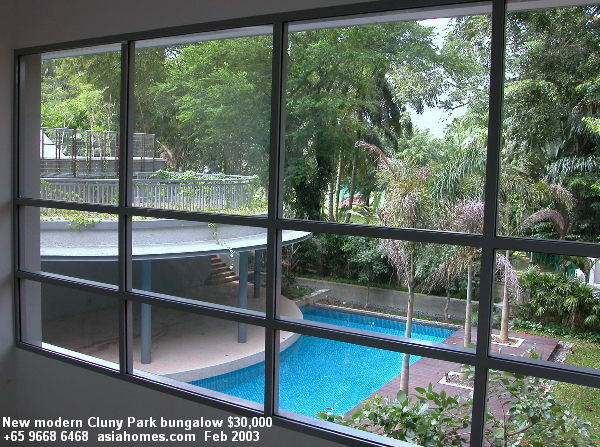 Modern new bungalow at Dunsfold Drive, $10,000/month Pool faces the expressway and the Australian School is to the right at Lorong Chuan. 2.45pm 88 Trevose Crescent bungalow 5+1 4,500/5000 sq ft land $13,000 with pool. Under renovation. 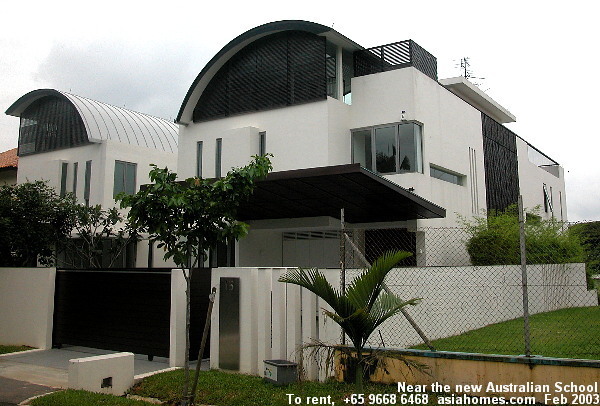 3.30pm 7 Merryn Road bungalow 4+1 5000/7000 sq ft $12,000. 4.30pm 20 & 21 Coronation Road West bungalow 3+1+1 4200/10000 sq ft $10,000. Saturday Feb 15 2003. Unique townhouse at $3,300. Couple. 1.30pm 2nd viewing of Townerville 3 and 4 bedrooms. Cluny Park Road bungalow, brand new modern with big pool $30,000. Fronting Botanic Gardens & Park. Ground floor units at $5,000. More units are available. 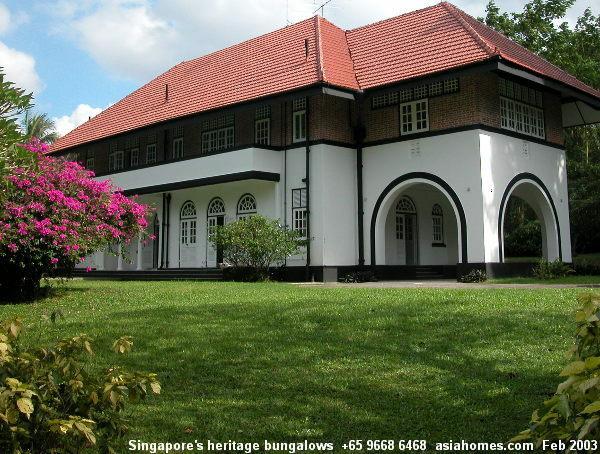 To make an appointment for a FREE house-hunting for expats relocating to Singapore, email Judy, tel: +65 9668 6468. Tel: +65 9668 6468, 6254 2728,62654 3326, 9668 6469.